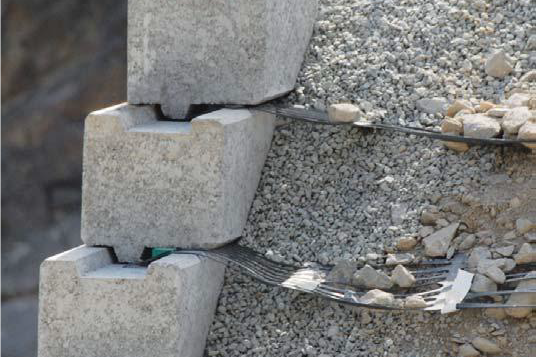 The stability of reinforced soil retaining structures is based on the interaction of tensile elements (armature) and the surrounding backfilled soil. Their execution is done by the embankment behind the front side of the retaining structure being combined with tensile elements such as geomesh, traps etc. The front side of the structure serves to prevent local erosion and has an aesthetic function but does not significantly contribute to the stability of the overall structure. 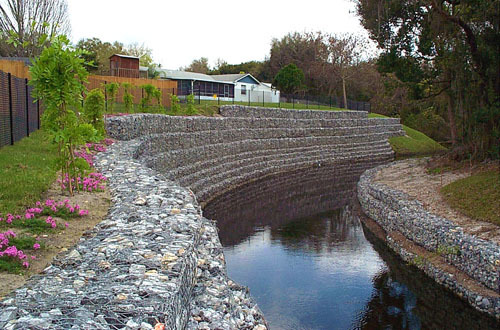 The Terramesh system was developed by the Italian corporation Officina Maccaferri S.p.A., and consists of gabion baskets with extensions. The system enables the construction of a retaining structure with a very steep frontal inclination up to 70˚. 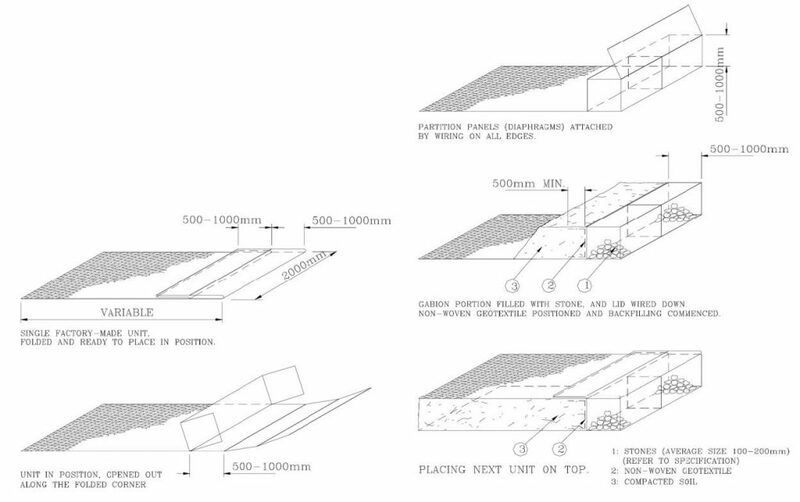 The front and upper sides of the gabion basket are folded during production, while the back and sides of the basket are formed from special pieces of mesh that are fixed to the horizontal panel. System elements are produced in standard dimensions: 2.0 m wide, 3.0, 4.0, 5.0 m long and 0.5 and 1.0 m high. If necessary, other dimensions can be produced according to project requirements. 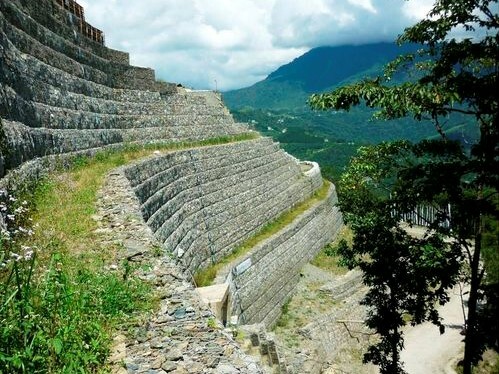 The space between the gabion baskets and front sides of the excavation is deposited in layers of mixed stone and earth material, clay gravel, clay stone debris etc. The Terra Armee support structure system was developed in France in the 1960s and 70s, and it is made from backfill material from excavation. 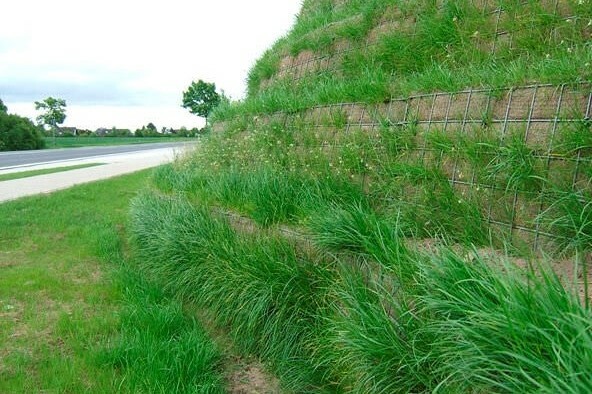 Alternately, the embankment can be made from non-coherent soil and tensile elements (armatures). The armatures in this system consist of metal strips: galvanized smooth steel or aluminium 40 to 60 mm wide or ribbed 60 to 80 mm wide, 2.0 to 3.0 mm thick. In addition to steel and aluminium strips, the reinforcement also can be formed of geocomposites. 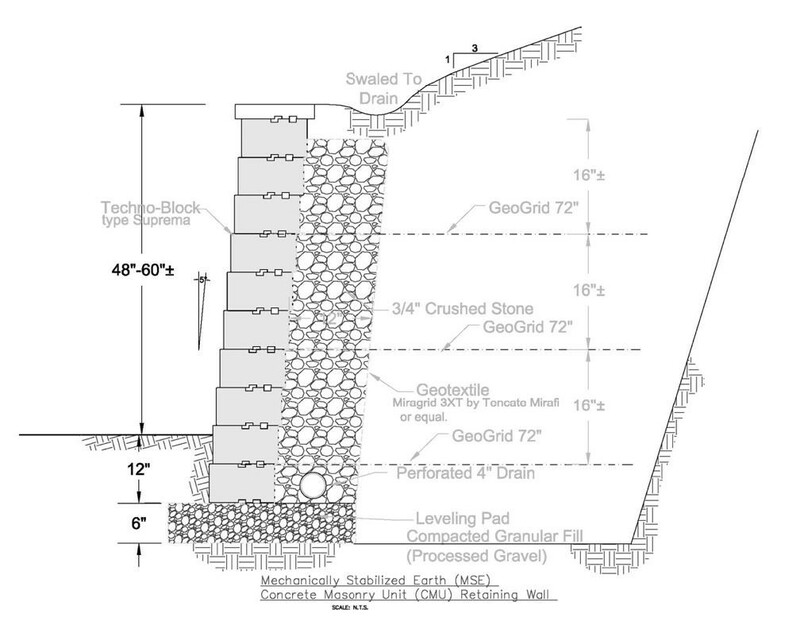 A frequently used and applicable retaining structure system is the reinforced soil system Tensar Wall and Green Tensar Wall from the English geocomposite manufacturer Tensar Interantional. This system consists of modular façade elements and armatures (geocomposites – uniaxial geomesh) which are systematically installed in combination with the embankment of excavation material. 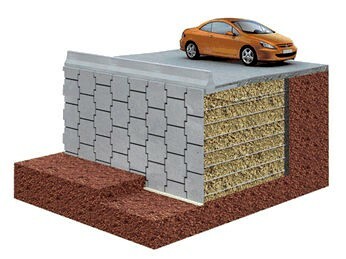 The Tensar Green wall system is similar to the Green Terramesh system, but geomesh is used instead of hexagonal mesh. The system execution principle is almost identical in other parts.